Our selection of commercial deep fryer cleaner includes powerful cleaning agents from popular brands so you can buy from a name you trust. Perfect for keeping your cooking equipment up to code after it's used, fryer cleaner plays a fundamental role in the sanitation and cleanliness of any commercial kitchen. With only the best from which to choose, you're sure to find the perfect cleaner for your needs. For additional products to go with your deep fat fryer cleaner, check out our fryer parts, commercial electric fryers, and commercial gas fryers. 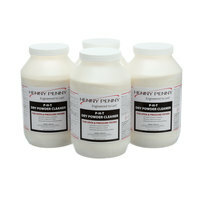 If you're wondering where to buy henny penny deep fat fryer cleaner, we have a large selection of henny penny deep fat fryer cleaner for sale at the lowest prices.